These close-to-home restaurants offer great food and vacation views. Imagine this: a glistening lakefront, snowcapped hills, a scenic skyline and a mouth-watering meal. Sounds like a pricey getaway, right? But you can find vacation-style dining without ever leaving Southern Indiana. 812 tracked down three regional restaurants that offer savory dishes with a picture-postcard view. 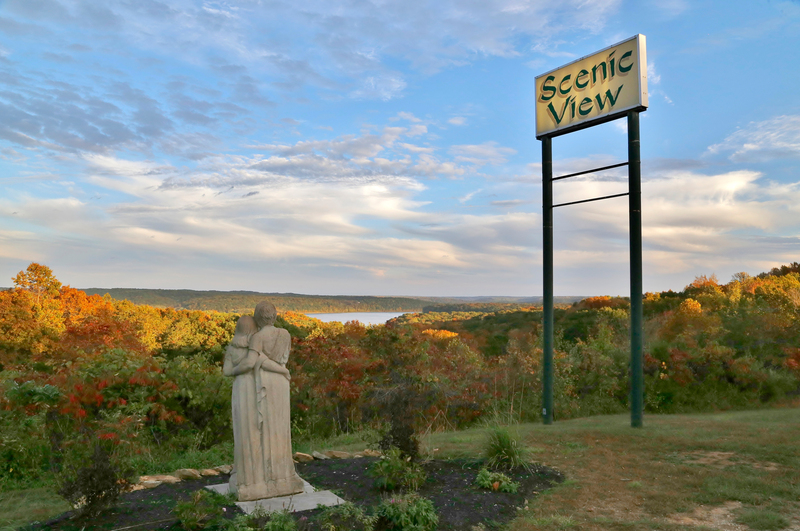 Monday – Thursday: 11 a.m. - 9 p.m.
View: Perched on a hilltop in Monroe County, this eatery overlooks the Hoosier National Forest and Lake Monroe in the distance. The striking landscape lures customers in all seasons of the year. Ambience: Rustic umbrella tables illuminated with decorative lights line the patio deck. If the weather is chiller, enjoy your meal inside at cozy booths that offer views through picture windows. Menu: Zesty American cuisine paired with flavorful seasonal cocktails. You’ll find both classic dishes and du jour items. The View Melt, a twist on the classic patty melt, is a must-try. Monday – Thursday: 11 a.m. - 10:30 p.m.
Friday – Saturday: 11 a.m. - 11:30 p.m.
View: Floor-to-ceiling windows and a cozy back patio give this Jeffersonville favorite a skyline view of Louisville across the Ohio River. Ambience: The stone-and-timber bar and antler chandeliers give the grill its mountain-lodge feel. A dozen flat-screen TVs are mounted around the room for viewing the big game. Menu: With a wide selection of home-cooked classics like their signature Buckhead Pot Pie and an extensive list of craft beers, Buckhead Mountain combines comfort food and new favorites. Tuesday – Sunday: 11 a.m. - 9 p.m.
View: When it’s time to say goodbye to winter, celebrate spring at this seasonal café and harbor bar overlooking Brookville Lake. When it opens April 1, you can watch the boats from Kent’s Harbor sail off into the sunset. Ambience: Sit under maritime flags at the wood-paneled bar or enjoy the fresh air on the extended patio. Vintage fishing nets and life buoys take you back in time to a classic harbor eatery with friendly locals and good company. Menu: A selection of seafood favorites, American classics, a kid's menu and specialty drinks make this a great place for a family-friendly lunch and happy hour break. Try the Strawberry Patch Margarita, a fan favorite, for a "Fruity Fiesta!"